WinPDFEditor was available as a giveaway on April 10, 2013! How would you improve WinPDFEditor? Hello... How about adding an UNDO button... Thanks ! It should be able to match the font automatically that is in the document so that if you add text it would match. PDF OCR is a Windows application and uses Optical Character Recognition technology to OCR scanned PDF documents to editable text files. JPG To PDF Converter for Mac creates PDF documents from image files that you select on Mac OS. All the comments here hace been very useful to define what the program can and cannot do. I can not edit text. Not text from original PDF file and also not my own added text. I always thought we would be abused as beta testers. But today we are probably alpha testers. I can not edit text. Not text from original PDF file and also not my own added text. I always thought we would be abused as beta testers. But today we are probably alpha testers. Seemed to install OK on Win7-64; loaded PDF-file OK; "Select" didn't select anything; couldn't find standard editing functions; no un-do or re-do. Seemed to install OK on Win7-64; loaded PDF-file OK; "Select" didn't select anything; couldn't find standard editing functions; no un-do or re-do. Will un-install. Sorry guys.. Tried a few PDF files and the select tool itself is not working as it should for me. I cant do anything but add some text that i cant even read since the select tool doesnt even drag the selection into a bigger window (2 chars show out of many). Wanted to.. but cant use this program even for simple things. the program cannot handle my systemdrive Q:. It is looking for its temp folder on C:. I had to connect an USB stick and make it drive C:. Got rid of the error, no time to test. It does not render text converted into shapes in the PDF distilling process to be the same size and weight as the same font type and pitch entered by this program, in fact the standard weight 12 point font distilled as shapes rather than text apears as low resolution blotchy bold fonts, very different to how any of my PDF viewers and Acrobat Standard render them to look like. And the developrs MUST add a highly usable ZOOM function it's simply not possible to accuratly mask content with the erase tool or to position annotations or other addin content without a zoom function. An optional grid would be sensible too! @21 I've been using GOTD for years and never had any problem with scrolling up. I think your PC had the issue not the website. This is a nice program. DId everything it said. I added in notes. Erased sections, and best of all one page rotations. So why I am removing it? It cannot delete a page....Terrible omission. please tell me, did you ever try to unlock a protected anything with appnimi softwares? This issue of 'where did all the UP votes come from?' can be remedied rather easily. Require posting of a review/comment in order to vote. It wouldn't take a math major to add it all up. Seems an extremely simple fix for a problem that has festered for some time. A little transparency could only legitimize the reviews and votes of those who take the time to test and review these programs. On the other hand, if GOTD is allowing vendors to stuff the ballot box then there is unlikely to be a change. This issue of 'where did all the UP votes come from?' can be remedied rather easily. Require posting of a review/comment in order to vote. It wouldn't take a math major to add it all up. Seems an extremely simple fix for a problem that has festered for some time. A little transparency could only legitimize the reviews and votes of those who take the time to test and review these programs. On the other hand, if GOTD is allowing vendors to stuff the ballot box then there is unlikely to be a change. I am not sure that the name is that big of a deal. What matters is that its functions/features are clearly specified. It's pretty hard to find any PDF software that covers all of the expectations of the consumer population for that type of product. My favorite happens to be Nuance PDF Converter Professional but even that lacks a redaction feature which I would love to have. I managed to find it for the same price as today's giveaway and it has a significant number of conversion and editing features. This product may not split, merge, etc., and there are plenty of "one-trick pony" PDF applications available to do those things. What you get is a simple quick editor. It's perfect for removing extraneous information from a .PDF file of a web page, for instance. I was still able to open it in Nuance and select text to edit contrary to #34's experience of a .PDF file being saved as an image. The main feature it lacks for me is a search feature. But since I see it as a quick fix then it's not a big deal. Most people working extensively with .PDF files would require a full fledged professional editor which this is not, nor does it seem to claim to be. Thanks for a handy tool. I am not sure that the name is that big of a deal. What matters is that its functions/features are clearly specified. It's pretty hard to find any PDF software that covers all of the expectations of the consumer population for that type of product. My favorite happens to be Nuance PDF Converter Professional but even that lacks a redaction feature which I would love to have. I managed to find it for the same price as today's giveaway and it has a significant number of conversion and editing features. This product may not split, merge, etc., and there are plenty of "one-trick pony" PDF applications available to do those things. What you get is a simple quick editor. It's perfect for removing extraneous information from a .PDF file of a web page, for instance. I was still able to open it in Nuance and select text to edit contrary to #34's experience of a .PDF file being saved as an image. The main feature it lacks for me is a search feature. But since I see it as a quick fix then it's not a big deal. Most people working extensively with .PDF files would require a full fledged professional editor which this is not, nor does it seem to claim to be. Thanks for a handy tool. Thanks GOTD it is what I have been looking for.It works..
Erm, I hate to say it, but if you're prepared to risk running 7-year-old Adobe software, you can still download Acrobat Pro 7.0 (and all the other CS2 programs) from http://www.adobe.com/downloads/cs2_downloads/. I should add that you should only download and use those programs from that page if you own a legitimate license for Adobe CS2, or for each of the individual program(s) concerned. Erm, I hate to say it, but if you're prepared to risk running 7-year-old Adobe software, you <i>can</i> still download Acrobat Pro 7.0 (and all the other CS2 programs) from <a href="http://www.adobe.com/downloads/cs2_downloads/" rel="nofollow">http://www.adobe.com/downloads/cs2_downloads/</a>. I should add that you should only download and use those programs from that page if you own a legitimate license for Adobe CS2, or for each of the individual program(s) concerned. re Giovanni's recommendation: http://www.pdfill.com/pdf_tools_free.html, you cannot download the free tool without the trial version of their $19.95 tool. You cannot save a doc in the trial version without a pop-up offer to buy. Too irritating to bother with. I feel many people are mislead by the name of the tool being WinPDFeditor, because of the "editor" part. It was stated before, an editor should be able to rearrange the text that is already there in in a Pdf. WinPDFeditor cannot do such a thing. This leads to all kind of suggestions what to improve to make it a better editor (like merging and splitting pdf's for instance) or judge the utility as incomplete and inferior. I would like to consider a different approach. I do think the makers of PDFZilla are not native English speakers and they mixed up an editor and an annotation utility (or, which would be bad, their marketing people are trying to mislead potential buyers by polishing and suggesting more then the factual features. Lets go and believe in their good intentions if nothing contradicts with that). An annotation utilty only adds extra text, images and drawings. Exactly what this tool does. The name therefore should be WinPDFAnnotator. No more need for merging and splitting anymore, the thing does what it should do. It would also be incorrect to compare any pdf-editors with this annotation utility being something quite different. @Giovanni, for annotation you do not have to go through the sequence pdf to word to pdf anymore. Even for editing I would try to avoid this because the "pdf to Word" converters are among the worst there are, introducing all kind of problems with font, positioning, tables etc. It would have been nice though when after annotation of a page full of text, the text would still be editable with a real editor, but WinPDFeditor does not allow that because the textpage will be turned into an image. For just annotation this will do ofcource. When seeing the giveaway as being a annotation utility there is nothing wrong with it (assuming the fix helped those who suffered). Best advice to PDFZilla: Rename this tool when you like to get the credits it really earns to avoid misleading buyers (disappointed) incidentally or more bad on purpose (furious). I feel many people are mislead by the name of the tool being WinPDFeditor, because of the "editor" part. It was stated before, an editor should be able to rearrange the text that is already there in in a Pdf. WinPDFeditor cannot do such a thing. This leads to all kind of suggestions what to improve to make it a better editor (like merging and splitting pdf's for instance) or judge the utility as incomplete and inferior. I would like to consider a different approach. I do think the makers of PDFZilla are not native English speakers and they mixed up an editor and an annotation utility (or, which would be bad, their marketing people are trying to mislead potential buyers by polishing and suggesting more then the factual features. Lets go and believe in their good intentions if nothing contradicts with that). An annotation utilty only adds extra text, images and drawings. Exactly what this tool does. The name therefore should be <b>WinPDFAnnotator</b>. No more need for merging and splitting anymore, the thing does what it should do. It would also be incorrect to compare any pdf-editors with this annotation utility being something quite different. @Giovanni, for annotation you do not have to go through the sequence pdf to word to pdf anymore. Even for editing I would try to avoid this because the "pdf to Word" converters are among the worst there are, introducing all kind of problems with font, positioning, tables etc. It would have been nice though when after annotation of a page full of text, the text would still be editable with a real editor, but WinPDFeditor does not allow that because the textpage will be turned into an image. For just annotation this will do ofcource. When seeing the giveaway as being a annotation utility there is nothing wrong with it (assuming the fix helped those who suffered). <b>Best advice to PDFZilla: <a>Rename this tool when you like to get the credits it really earns to avoid misleading buyers (disappointed) incidentally or more bad on purpose (furious). To those pointing out the lack of classic Undo Last In Last Out style undo facility yes that is true, BUT on the lower left pane there is a selectable History list of Objects in the order they were generated and one just needs to select on the object in the list one wants to undo/remove and then press the activated delete object button towards the right end of the tools in the tool bar. From the feel of the tool it apears most of the work is acomplished by add an overlay over the original content and as such it does not truely edit the original content but allows you to "erase" is by drawing over it in the same colour as the background colour giving the illusion of erasing the orignal content. But it's all still there and any viewer / print option that allows you to exclude the non-standard layers from being rendered will allow the original content to be viewed, so don't use it to edit sensitive material out of a PDF file because if it was there in original distillation it will remain after editing with this tool. I have used similar so called editors in the past to try and over-type ie to ei typo reversals where the original PDF could not be redistilled corrected, and the end result was not satisfactory as the background text rendered with high resolution because they were all rendered as vector shapes but the overlaid text was rendered as resolution restricted raster text and so did not print or view with proper clarity. With that PDF document I had to rebuild the entire single page with the fault in Open Office Draw and export as a single PDF page and then use another so-called PDF editor to merge in my new page and remove the faulty one and resave off the re-made PDF file. Wondershare did a free beta PDF editor that did really edit PDF files but it was offered as a free beta program with no stated time limit on it but as soon as the product went out of beta and on sale they expired the free beta version they gave us and pushed us towards purchassing the now commercial product. Nasty tactics in my opinion, so I removed the product and refuse to give them any further patronidge for their deceptive terms and conditions. They should never have expired the beta testers programs or given those beta testers a free upgrade to the comercial release as a thank you for helping them bring their new product to market. Thanks to WinPDFEditor + GOTD. Thanks to WinPDFEditor + GOTD. Installed and activated easily. @Giovanni, as always, you're the saving grace for free offers gone bad. I've come to run a word search, every day that I see an intriguing app, for "Gio" so I can cut straight to the dependable post that lets me know whether the "Free" app is actually going to cost me time and a headache. Today I have not tried the software due to the overwhelming feedback from the site's contributors (a MUCH more accurate representation of the program's effectiveness than the thumb system). But I also have not rated the software because I haven't tried it. Thanks GAOTD for doing what you do by promoting these programs and getting them the market recognition that they deserve (though the site's rating system could be improved). Thank you Giovanni for reliably showing me the top players in the market of each particular program. And thanks to the regular, and not-so-regular, contributors that donate a little of their time each day to giving us a glimpse into how the day's program stacks up. This is such a wonderfully effective resource for making these programs available, while also letting me know what is expected in the market. Thanks again. @Giovanni, as always, you're the saving grace for free offers gone bad. I've come to run a word search, every day that I see an intriguing app, for "Gio" so I can cut straight to the dependable post that lets me know whether the "Free" app is actually going to cost me time and a headache. Today I have not tried the software due to the overwhelming feedback from the site's contributors (a MUCH more accurate representation of the program's effectiveness than the thumb system). But I also have not rated the software because I haven't tried it. Thanks GAOTD for doing what you do by promoting these programs and getting them the market recognition that they deserve (though the site's rating system could be improved). Thank you Giovanni for reliably showing me the top players in the market of each particular program. And thanks to the regular, and not-so-regular, contributors that donate a little of their time each day to giving us a glimpse into how the day's program stacks up. This is such a wonderfully effective resource for making these programs available, while also letting me know what is expected in the market. Thanks again. PDFZilla team is grateful for your feedback. They have fixed the bug and the updated version of the build is already available here, on GOTD. Please make sure to re-download the archive and enjoy WinPDFEditor without any issues. When I run setup.exe, rigth after a dialog saying "connecting to GAOTD to check", an alert is displayed saying "The key cannot be decrypted"
we have just updated the build due to some bugs were found in the previous version of the application. Please re-download the archive. Where is the right one ?? Win PDF Editor can not be found with your download-link !!!!!! It says: 404 Not Found -------------------------------------------------------------------------------- nginx/1.1.4 Where is the right one ?? Thank you for your comment. I can open only about 5% of PDF files. There isn’t reason to contact you and supply you with PDF file without my PC, to find bugs. Dear WinPDFEditor, Thank you for your comment. I can open only about 5% of PDF files. There isn’t reason to contact you and supply you with PDF file without my PC, to find bugs. RE: The comment in the "Share Your Ideas" box about no undo button. I've seen many other PDF editing programs also without an undo button. Don't know why this is a weirdness for them. I was unable to register the giveaway. Kept getting an invalid code error. I checked to make sure I.E. was set to online, turned off my security and made sure there were no spaces at the beginning and end of the code. I've posted a link to an image taken of the error message. You can see the last several digits of the activation code. Please excuse the multiple links to the image. Was trying to see if the image would appear within the comment like it does over in the forums and the game discussion forums. Use the first link to access the image if more than one link appears. Just a word to thank you gents at GOTD for repairing the "Flyaway screen" problem. I'm sure you must know what I mean. For years we had NO problems with viewing the GOTD site. Then, suddenly, a year or more ago, GOTD's main screen (this one) suddenly began behaving very badly for many, if not all, of us. Trying to read the posts became impossible, because when you would scroll down, the screen would instantly scroll back up. This was repeated over and over until your faithful followers were climbing the walls. But now -- finally -- all is working well again for the first time in more than a year. I think we'd all be interested to know "how" you repaired it -- but the main thing is, you *did* repair it. Thank you, for all of us. Just a word to thank you gents at GOTD for repairing the "Flyaway screen" problem. I'm sure you must know what I mean. For years we had NO problems with viewing the GOTD site. Then, suddenly, a year or more ago, GOTD's main screen (this one) suddenly began behaving very badly for many, if not all, of us. Trying to read the posts became impossible, because when you would scroll down, the screen would instantly scroll back up. This was repeated over and over until your faithful followers were climbing the walls. But now -- finally -- all is working well again for the first time in more than a year. I think we'd all be interested to know "how" you repaired it -- but the main thing is, you *did* repair it. Thank you, for all of us. This GAOTD must be a brand new product since I've never heard about it before. 65% THUMBS UP after a few minutes time being published here seems to be fishy, taking into account that it doesn't even have the ability to extract/merge/delete pages, as well as open PDFs encrypted with user/owner passwords. Not a great deal for a 40 $ app claiming to be a PDF EDITOR!! There are many shareware out there which can do much more than this GAOTD for the same price and a couple of FREEWARE (see below) which are able to do what this GAOTD cannot. In fact what this program can do is actually adding text with a new textbox, insert images, removing unwanted content, drawing lines etc... as any other FREEWARE IMAGE EDITOR out there can do for FREE, after turning any PDF into an IMAGE file!! So overall I give it a THUMBS DOWN for wasting my time trying it (65% THUMBS UP?? Come on...LOL!!)!! Yes, ASHRAF is right: there is any FREEWARE out there able to edit PDF files. But as far as I'm concerned this is NOT a big issue for me!! What's the problem in doing that?? The second tool is actually ADS supported....want to remove that ADS? This GAOTD must be a brand new product since I've never heard about it before. 65% THUMBS UP after a few minutes time being published here seems to be fishy, taking into account that it doesn't even have the ability to extract/merge/delete pages, as well as open PDFs encrypted with user/owner passwords. Not a great deal for a 40 $ app claiming to be a PDF EDITOR!! There are many shareware out there which can do much more than this GAOTD for the same price and a couple of FREEWARE (see below) which are able to do what this GAOTD cannot. In fact what this program can do is actually adding text with a new textbox, insert images, removing unwanted content, drawing lines etc... as any other FREEWARE IMAGE EDITOR out there can do for FREE, after turning any PDF into an IMAGE file!! So overall I give it a THUMBS DOWN for wasting my time trying it (65% THUMBS UP?? Come on...LOL!!)!! BEST FREE ALTERNATIVES?? Yes, ASHRAF is right: there is any FREEWARE out there able to edit PDF files. But as far as I'm concerned this is NOT a big issue for me!! Why?? Because the best way to edit a PDF file for FREE is actually to convert it to Word Format: PDF ==&gt; WORD http://unipdf.com http://www.pdfonline.com/pdf-to-word-converter (preserves hyperlinks) What's the problem in doing that?? 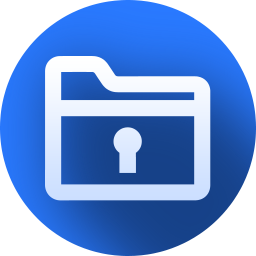 If the PDF is protected by an user/owner password, just use this magic FREE tool to open it: http://www.appnimi.com/viewdownload/2-windows/10-appnimi-pdf-locker Or better yet use this more comprehensive FREE GEM which can unlock not only PDFs encrypted with user/owner password but also zip,rar,xls and xlsx files, by using Brute Force algorithm and Dictionary method: http://www.appnimi.com/viewdownload/2-windows/4-appnimi-all-in-one-password-unlocker That being said, another way to edit any PDFs for FREE is also described here: * Libre Office + Oracle PDF Import Extension http://www.techsupportalert.com/content/pdf-file-allows-editing-perfect-layout-accuracy.htm If what you need is instead just a FREE tool designed to add, remove, rotate, delete pages, modify encryption, add watermarks, extract individual pages, optimize PDF documents for web viewing etc..., then these two FREE tools are the right program for you: http://www.pdfill.com/pdf_tools_free.html http://www.avinashtech.com/computers/how-to-edit-pdf-files-and-documents-with-pdfedit995 The second tool is actually ADS supported....want to remove that ADS? No problem....Giovanni has a (FREE) solution for you even in such a case: http://www.softpedia.com/get/Internet/Popup-Ad-Spyware-Blockers/RemoveAds.shtml http://www.majorshare.com/remove-ads-anti-ad Enjoy!! I am so sorry for the problem about stucking. We will do our best to solve the problem as soon as possible. If you have any opening or stucking problem with the program, please contact us at support@winpdfeditor.com about the detail and supply us your PDF file, so that we can fix the bug sooner. All the users will get the free giveaway again after the bug fixed, I promise. Probably WinPDFEditor cannot open encrypted files. You have to decrypt the file first. For all who cannot open pdf files with WinPDFEditor: Probably WinPDFEditor cannot open encrypted files. You have to decrypt the file first. Downloaded, installed and registered fine on Win 7 Pro 64 bit. I opened a 1 page, simple PDF which I have just created in OpenOffice. Tried to edit some text and found this isn't possible. It is possible to delete text and then add text but you must play around getting exactly the right font. I remembered the font I used to create the document, Times New Roman 12 normal.. I selected this in Win PDF editor, erased text, added text and the result was not the same font. The text looks horrendous to be honest, no match whatsoever. I have read Ashraf's review but because I am very interested in obtaining a decent PDF editor I wanted to test it out for myself. My personal view is this, do not waste your time, it does not edit PDF despite it clearly stating on the website 'WinPDFEditor is a Windows PDF editing software product that lets you modify and edit PDF documents'. Hello, Downloaded, installed and registered fine on Win 7 Pro 64 bit. I opened a 1 page, simple PDF which I have just created in OpenOffice. Tried to edit some text and found this isn't possible. It is possible to delete text and then add text but you must play around getting exactly the right font. I remembered the font I used to create the document, Times New Roman 12 normal.. I selected this in Win PDF editor, erased text, added text and the result was not the same font. The text looks horrendous to be honest, no match whatsoever. I have read Ashraf's review but because I am very interested in obtaining a decent PDF editor I wanted to test it out for myself. My personal view is this, do not waste your time, it does not edit PDF despite it clearly stating on the website 'WinPDFEditor is a Windows PDF editing software product that lets you modify and edit PDF documents'. The uninstall was flawless..
Also having same problem as JJ, Albrecht and huh. Program has some serious bugs that need to be looked into; wouldn't recommend it to anyone as it is now. @ JJ etc. I had the same problem just after installing and registering, but a program restart fixed that for me. Tested it quickly, as it's just what I'm looking for... all the tools work fine but for me the eraser tool is excellent; as easy as erasing part of a jpg. The resulting saved file looks as good viewed in Acrobat Reader as the original file does. However, sometimes when I save a pdf, it somehow doesn't appear in the folder I've saved to, even after trying different locations and titles. After restarting the app and re-editing it generally does save. It would be very annoying if you put a lot of work into the edit. Tested it quickly, as it's just what I'm looking for... all the tools work fine but for me the eraser tool is excellent; as easy as erasing part of a jpg. The resulting saved file looks as good viewed in Acrobat Reader as the original file does. However, sometimes when I save a pdf, it somehow doesn't appear in the folder I've saved to, even after trying different locations and titles. After restarting the app and re-editing it generally does save. It would be very annoying if you put a lot of work into the edit. Same problem here as JJ and Albrecht. Also W7 64b. I save a lot of recipes in PDF using a PrintFriendly bookmarklet; while that allows me to do some simple editing - removing comments and unwanted images - I couldn't get rid of the URL that's plastered at the very top of the document. This let me get erase it. I experimented a little bit with the other features, but the eraser tool was the main one I will use most often. Installed quickly on my Win7 PC. Thanks to the company and to GAOD! OpenOffice/LibreOffice Writer opens PDF natively, and allow to modify them very nicely. Do not see anything in this one that OOoW cant do. OpenOffice/LibreOffice Writer opens PDF natively, and allow to modify them very nicely. Do not see anything in this one that OOoW cant do. 1. Started, tried to open a PDF file - the program stuck (endless loop?) on "opening a PDF file. Stopped, started again, opened a small file - all OK; opened the same file that stuck earlier - this time all OK. Please take care of this bug. 2. Nice drawing options but no "delete page/pages". No possibilities whatsoever to edit, even copy-paste-delete, existing parts of the PDF (text/images). Ashraf is right, this is not a "PDF editor". All in all - nice piece of of software, thanks for the giveaway, but please consider adding in next versions options like "delete page(s)" and "delete image"... at least. 1. Started, tried to open a PDF file - the program stuck (endless loop?) on "opening a PDF file. Stopped, started again, opened a small file - all OK; opened the same file that stuck earlier - this time all OK. Please take care of this bug. 2. Nice drawing options but no "delete page/pages". No possibilities whatsoever to edit, even copy-paste-delete, existing parts of the PDF (text/images). Ashraf is right, this is not a "PDF editor". All in all - nice piece of of software, thanks for the giveaway, but please consider adding in next versions options like "delete page(s)" and "delete image"... at least. Installed twice - once under \program files\ and once on another partition. Installs fine, no issues on Win 7-x64 system. However, after opening any pdf, only the program toolbar would appear and the splash screen remains on the main window. Nothing shown of the "loaded" pdf, nothing to edit either. Useless to me. One good point: Uninstalled fine. No remains left. Installed twice - once under \program files\ and once on another partition. Installs fine, no issues on Win 7-x64 system. However, after opening any pdf, only the program toolbar would appear and the splash screen remains on the main window. Nothing shown of the "loaded" pdf, nothing to edit either. Useless to me. One good point: Uninstalled fine. No remains left. Been waiting for this one for a while now. Unfortunately it doesn't seem to be working. It downloads and installs OK and even accepts the reg key but shows only a splash page depicting a blue booklet marked PDF, a pencil, some pens in a cup and the title "Win PDF Editor". It acts like it opens files on my Windows 7 machine but the splash page never goes away to reveal the file contents. Is there a problem with the build for GAOTD? The description is great. However, we have seen a lot of PDF programs recently, both here and elsewhere, and while some of them work OK, others are crappy. The problem is that changes made by most of these programs implement an additional layer that is not standardized, so the changes won't stick if you use the modified file in another PDF program. Perhaps the program works fine, but if the vendor is the same as PDFzilla, then there is bound to be room for improvement. Don't let your expectations run too high. Thanks for the offer, as always. The description is great. However, we have seen a lot of PDF programs recently, both here and elsewhere, and while some of them work OK, others are crappy. The problem is that changes made by most of these programs implement an additional layer that is not standardized, so the changes won't stick if you use the modified file in another PDF program. Perhaps the program works fine, but if the vendor is the same as PDFzilla, then there is bound to be room for improvement. Don't let your expectations run too high. Thanks for the offer, as always.